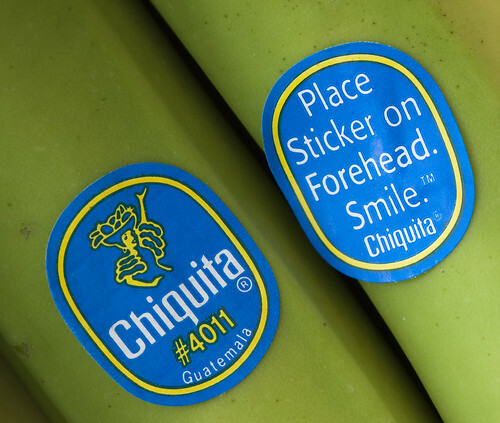 Chiquita; Place Sticker on Forehead. Smile. In case anyone needs a smile today.